Oluwalase Babatunde Benson is No. 1. He's the No. 1 car spotter in his village. The No. 1 car spotter in the world! The start of an exciting new series about the irresistible No. 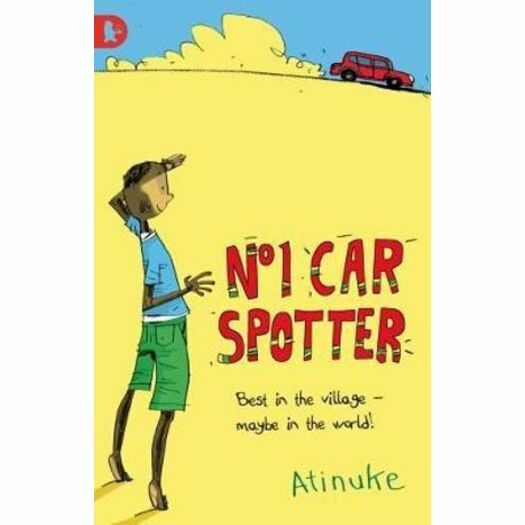 1, whose hobby is car spotting but who is good at solving all sorts of problems for his village. When the family's cart breaks down and there's no way of bringing goods to market, it's No. 1 who devises the Toyota Cow-rolla and saves the day. He runs errands for his family and helps Mama Coca-Cola feed the busloads of people who stop for her delicious fried akara. No. 1 even helps Grandmother get to the medical centre when she can't afford treatment. No. 1 is bright and plucky and resourceful - a fantastic new character in what will undoubtedly prove to be a brilliant series!